Harriet and Stevie tackle icy mountains on a daily basis, and they won't let any obstacle stand in their way. With equipment in hand, they are prepared for anything, be it crumbling peaks, cracked surfaces, or 180° degree heats. They are pioneers. Or rather I should say they are Biscuiteers. Harriet and Stevie have iced mountains of biscuits since setting up their business in 2007. 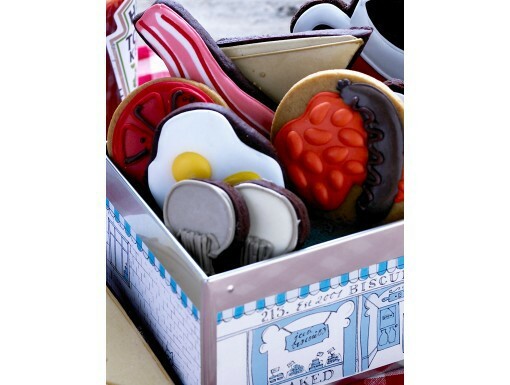 Each one has its own quirky design, creating beautifully themed gifts that include big breakfasts, bicycles, sandcastles, Mr Men, and more. As well as making biscuits for customers, they also hold workshops for baking enthusiasts who have the cooking bit down, but need some work on refinery. There are all sorts of icing classes to choose from, but for those who find it difficult to get away from that pesky thing called work, it can be difficult. If that's the case, then you might be interested in signing up for one of the Biscuiteers Icing Lates Sessions. Held from 6.30pm - 8pm on the first Tuesday of each month, it costs £42 per person. Bookings are currently being taken for the 1st July, which you can do from their online shop, or by calling 08704588358. 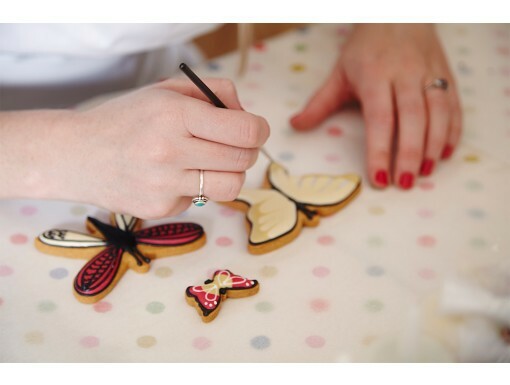 On arrival you will receive a glass of glass of Prosecco; the icing team will then hand out their tips, tricks, and techniques to help you decorate five biscuits from their most popular ranges. You will get 10% from their bakery, a free cotton apron, and if you you don't gobble them up to quickly, you'll be able to take your biscuits home and impress the family.